Pour yourself a martini, and sit down — it's time to talk about A Simple Favor. 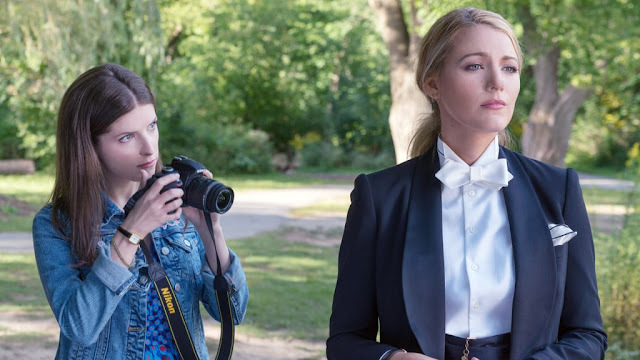 Anna Kendrick and Blake Lively star in Paul Feig's dark comedy, in which Lively's character Emily suddenly disappears from her town. While the film released nationwide on Sept. 14, eager moviegoers are already reporting back with their reactions. Sounds like this one will keep you on the edge of your seat. Fans have a variety of reasons for loving the movie: Kendrick and Lively's on-screen chemistry, Andrew Rannells's standout performance, Henry Golding's dashing good looks, and the mystery as a whole. Keep reading to see tweets from viewers so far; we already know one person who's a huge fan — his name rhymes with "Sryan Sreynolds."